We provide a full range of corporate finance advisory services thanks to our team of professionals with many years’ experience in the quoted markets. We serve our listed clients as their financial adviser. Our understanding of the particular challenges that private companies, their management and shareholders face mean that we can help at all stages of the growth cycle of a business from raising capital by way of private placement through to an exit event. Whether institutionally owned or not, Camden has been advising private companies and their investors for many years. We combine the experience of our professionals to advise shareholders of private companies on weighing up alternative exit strategies: trade sale, buy out or IPO. Working effectively with businesses throughout their growth cycle is one of Camden’s key strengths. It enables us to support our clients from the early stages of their businesses’ development right through to their chosen exit event. Based on your business plan, we advise on financing structures and prepare information materials. We will solicit offers from suitable sources and manage the negotiation process. Securing optimal terms from the most appropriate financing partners is our goal. The process of raising money is always time-consuming and can be especially daunting for entrepreneurs. Camden aims to ensure that the relationship between the management and its long-term financing partners remains productive. Balanced long term relationships are what we strive to deliver. Whether a secondary fundraising is planned in order to fund an acquisition, provide greater working capital for organic expansion or to reduce debt, we will try to identify good quality, long-term investors to support the issue. Our recognized experience in placings, and rights issues means we are well placed to advise and ensure funds are raised from the highest quality investors. Camden has advised on more than 10 transactions involving private equity investors across Europe since 2006. 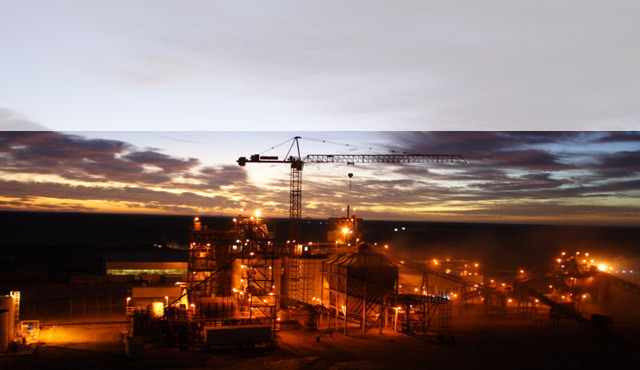 Increased demand for resources globally has prompted a new wave of investment in mining, particularly in resource-rich Africa. The mining and metals industries face many challenges. They must be adequately managed to deal with volatile commodity prices, fluctuating currencies, new technologies, operating and capital cost pressures. A broad range of funding alternatives must address environmental pressures, constantly changing political and strategic options. Camden's mining and metals finance and advisory team based in London, are uniquely positioned to assist and advise clients in securing financing in mining-related transactions. The global economy faces unprecedented challenges: climate change, pollution and a shortage of natural resources, whilst the demand for energy is ever increasing. Our strong links with specialist financing and investment partners enable us to provide our clients with a full range of financing and strategic options. Working throughout Europe & North America our network of relationships and execution expertise make Camden a partner of choice and a leading source of advice. The internet is the biggest revolution in industrial history, and its commercial impact is immense. Camden views e-Commerce as a powerful and dynamic sector, with key players becoming increasingly profitable. Smaller and more innovative businesses are now acquisition targets and the growing profitability of e-Commerce and Internet businesses makes the sector more attractive for leveraged buy-outs and private equity. As a consequence, we expect this sector to be the scene of high levels of M&A activity. Internet & e-Commerce business models are highly differentiate. In addition, technological evolution is extremely rapid and often ‘game changing’. Camden’s dedicated team has been active in this sector since its inception and consequently has a detailed understanding of the market dynamics – essential knowledge for an advisor in this area. Our long-standing experience has resulted in the development of strong relationships with some of Europe’s key players, investors and potential buyers.. Many issues continue to face the healthcare sector, offering opportunities as well as potential pitfalls for investors. Healthcare provision will always be subject to political considerations, while regulatory and structural reform can present serious challenges. The financial turmoil of the last few years will constrain healthcare expenditure. This, in turn, will drive private sector involvement into areas once considered the sole preserve of the public sector and fuel a wave of consolidation. Always dynamic and high profile, the retail sector is constantly evolving in keeping with changing consumer trends. Retailers worldwide are having to adapt their business models in response to the rapid growth of the internet. Multi-channel retailing and brand and estate optimization are set to be key drivers of change in the sector in the years to come. Camden is focused on developing strong, long-term relationships across the sector. Our relationships range from individual entrepreneurs to private equity-backed brands. We provide access to international investors and buyers across Europe. Camden acts as a capital placement and real estate finance advisory firm. Camden represents commercial real estate owners seeking to invest in real estate opportunities or need to divest due to a challenging economic environment. Our primary focus is helping clients across all property types access investors at all levels of the capital stack, matching the specific need with the appropriate capital providers. Our strategies are proven successes because we treat each project as if it were our own.